All player can participate in this event. 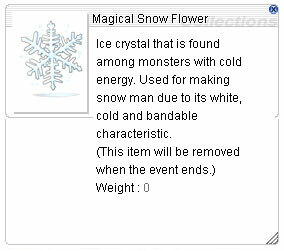 Magical Snow Flower cannot trade, put in the cart or put in your storage either. 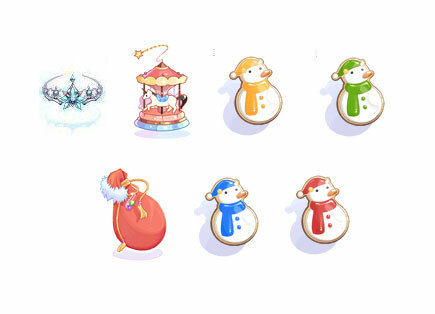 Top 20 Players who accumulate the most amount of Magical Snow Flower will win the prize. 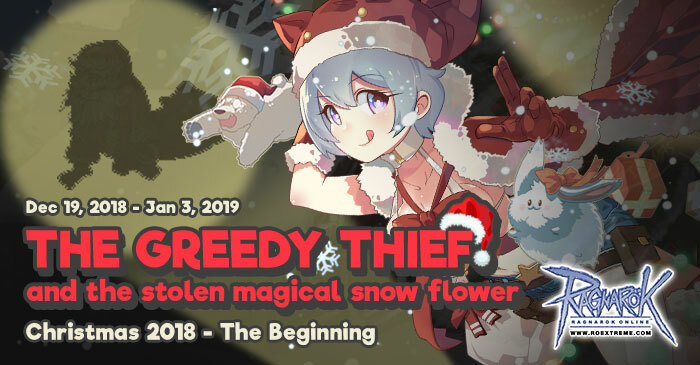 In case of players have the equal amount of Magical Snow Flower, we will base on the one who fastest reaches to that amount first. 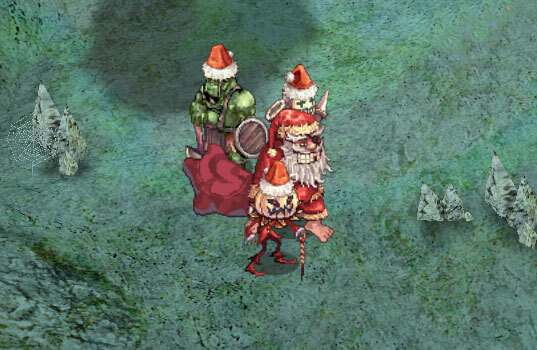 Antonio is the event monster which is scattered by various maps. He drops candy, candy cane, cookie and also the Magical Snow Flower. ...Magical Snow Flower has a secret.